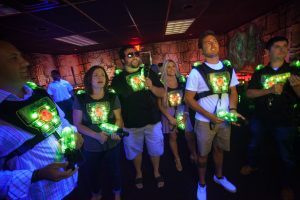 Have a blast with the latest in high-tech gaming, including multi-level adventure themed laser tag, boutique cosmic bowling and 37 awesome arcade games. NEW at the Zone! 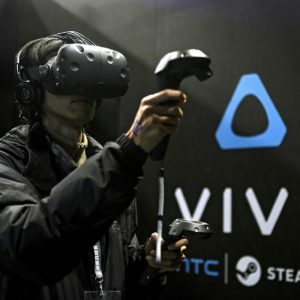 We are the first to offer the HTC Vive Virtual Reality Gaming in the DC Metro and NoVA region. Be among the first to try the future of gaming, only at the Zone. When the lights turn off and the pins light up, you’ll experience the unique fun and excitement of cosmic bowling. 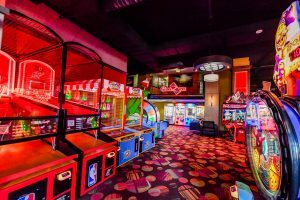 Reserve our private four-lane boutique bowling alley and have a memorable black-light time with friends and family. Full Day, Half Day, Morning or Afternoon. Flexible Scheduling! Food, Fun and Snacks Included, early drop off and pick up available.